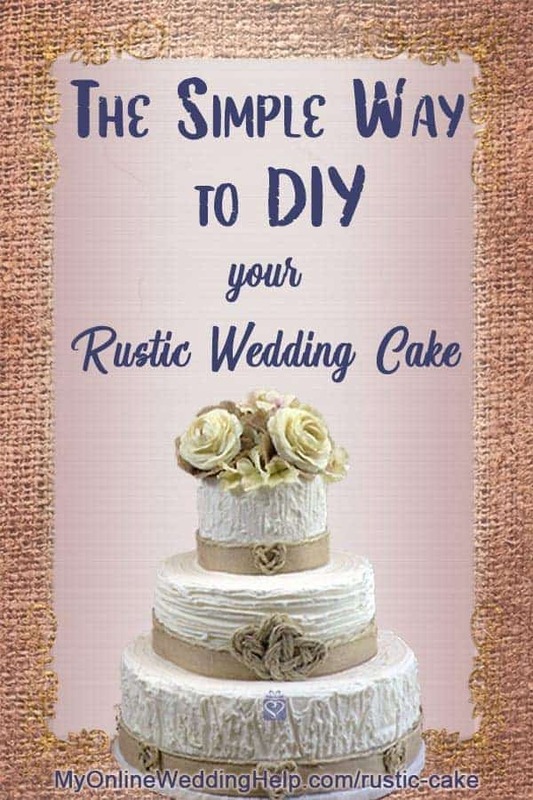 You are here: Home / Do It Yourself / How to DIY Rustic Wedding Cake Decorating. 3 Simple Techniques. 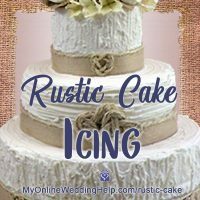 Do you see pictures of rustic wedding cakes and wonder, “Could I do that?” Those textured patterns in the frosting are easier than you may think. You can do it without experience, bags, or icing tips. And the decorations are simple, too. This tutorial consists of seven videos. The main video at the end of this post shows the process of assembling all the decorations on the cake. 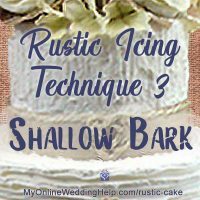 The six additional videos demonstrate, in detail, how to make the rustic cake decorations and create the icing effects. This country wedding cake DIY shows you the steps in decorating a rustic cake. 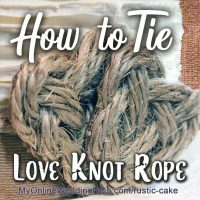 Three simple buttercream icing techniques, a love knot rope, and burlap leaves for flowers. This is the basic method of thickly applying buttercream icing. 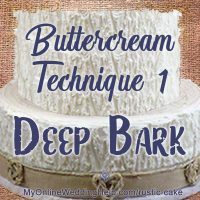 It is the first step in creating the buttercream icing techniques I used on all three tiers. The bottom-tier technique creates the illusion of deeply-cragged tree bark. Something like an elm tree. 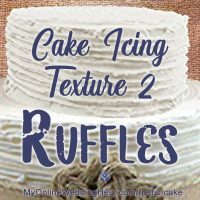 This center-tier icing technique looks similar to ruffles without all the work. Here, I create the effect by using a knife tip to dig into the icing. This is a way to get a shallower tree trunk style. I did a random free-form design, but if you wanted to you could try for some sort of pattern. These are Celtic knots crafted into the shape of a heart instead of the traditional round shape. I used sisal rope for a country look. I'm actually making an entire burlap fabric flower in this video. 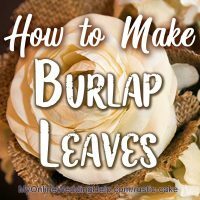 To make the leaves for the cake, follow the directions for only the bottom, largest layer. That is the part that goes under the roses on the cake. At the beginning and end of each video, you will find what I call a menu, where there will be links to each of six videos and this page. The cue that you are in a menu section will be my black shirt. In the actual tutorials, I’m wearing salmon with polka dots. You can always skip past this part at the beginning of any video by going straight to 1:05. Since I have no wedding cake decorating experience and little natural craftiness, my videos are geared toward helping those with limited talent figure out how to DIY. Consequently, I show you easier methods than you may find in videos from experts. Additionally, I share tips for avoiding some of the pitfalls you may run into. Enjoy! Hi Could you please tell me what is the butter cream recipe that you use to Ice a Rustic cake. I am doing a wedding cake for a friend and l have never covered a cake with butter icing before and I am a bit nervous about it ,Thank you. Also, the Wilton forums have a lot of decorating professionals on the board who like to help. Hi could u tell me where you got the steak knife that you used for the middle tier? It’s a knife I’ve had around for years. 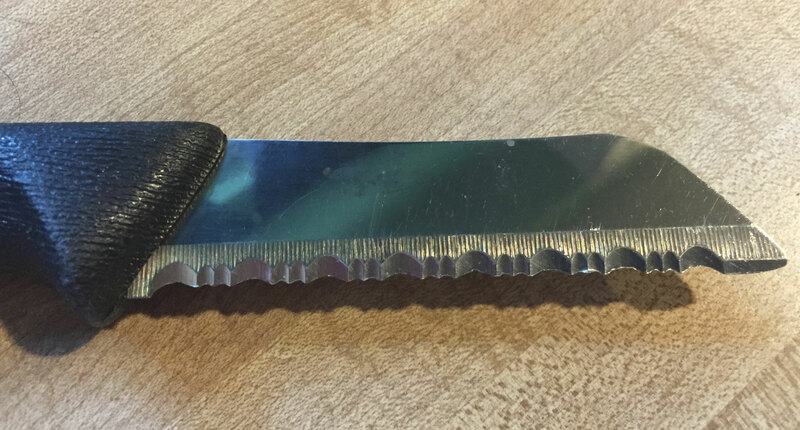 I *think* it’s part of a Ninja knife set I got 15-20 years ago. Here’s a close up of the blade. Hopefully that helps. Can you tell me how to attach the burlap ribbon to waxed paper? Hello! Any all-purpose glue should work fine to attach the wax paper to the ribbon. The glue will be on the non-cake side, with wax paper between it and the cake, so there are no worries about it needing to be food safe. Do you think that if I make a buttercream with a meringue base, after I refrigerate, I get this tree trunk effect? Hi Michele. I do not know how it would react. I’d recommend making a small batch and experiment to see what it would look like.